Glencoe High School kicks off its theater season with the satirical play, 'Reckless,' opening on Oct. 19. Glencoe High School is ready for its intrepid fall play, "Reckless," this opening weekend. But the cast, crew and director are everything but reckless. 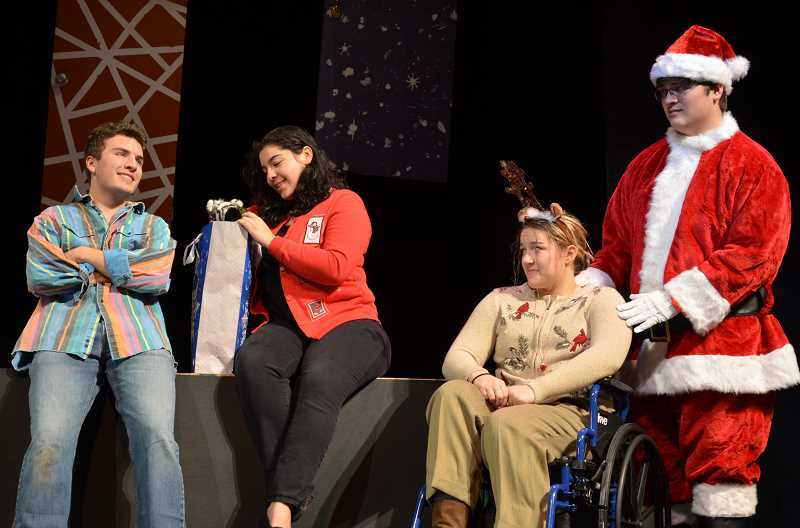 They've carefully prepared the production for over a month since the school year began, and they're ready to share it with the Hillsboro community. "Reckless" is a dark, satirical tale about a woman on Christmas Eve discovering her husband has hired a hitman the trials following that realization. Written by Craig Lucas in 1983, the play is also a 1995 film featuring actress Mia Farrow. Many of the students from last year's fall play, "The Laramie Project," returned to star in "Reckless." The cast includes Glencoe High students Emma Mendoza, Kellan Taylor, Tito Guzman, Kahli Lathois, Ivy Arch, Cassie Bacon, Madi Ross, Erin Hunter, Brenna Donovan, Hanna Scharosch, Nathan Burton, Alison O'Leary, Daniel Roberts and Ben Lopez. 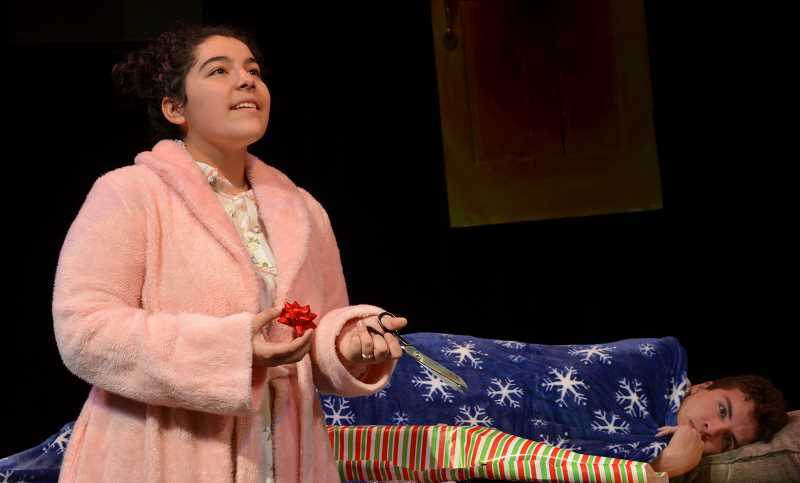 The play's director and Glencoe High's theater instructor Lori Daliposon said there is an irony about this play being set during the "happiest time of the year." "Everything bad happens on Christmas," Daliposon said. "Something is very funny about using the most warm, fuzzy day of the year as the time things go wrong for the lead character. She's constantly being faced with the unexpected." Daliposon, who has taught at Glencoe High for 13 years, graduated from Southern Oregon University's theater master's program and spent her teaching career bringing enthusiasm for the stage to every school she's taught, including Banks and Gaston. "I'm the luckiest woman in the world that I get to spend my days with these incredible, insightful people," Daliposon said. The production is entirely student-run, with mainly sophomores, juniors and seniors involved, Daliposon said. Not only are the actors students, but the stage crew and theater technicians are as well — many who take classes taught by Daliposon. "There are some really talented people," she said. "Some of them will do this for a living and study theater to become a career." Emma Mendoza plays the lead character Rachel, whom the audience should expect to watch "move from life to life." "None of these lives are truthful," Daliposen said. "Every place Rachel ends up, she finds out more about who she is. It is the world from her eyes." The role took some serious preparation, Daliposon said. "(Mendoza) is really intuitive and bright. We had to talk about what the state of mind of the character is happening at different points," she said. "She has a really important role in getting the play's point across. We had to go back to what Rachel is experiencing and why is she experiencing it." Glencoe High senior Kellan Taylor plays two characters, Tom and Tim, and is Daliposon's teacher's assistant. The cast's comical chemistry on stage will translate to audience, Taylor said. "I've never read a play like it," Taylor said. "It is really entertaining to perform and the audience will know that and bounce off what the actors are feeling." While the play is considered a comedy, it does explore a darker underlying theme through absurdism, Daliposen said. Absurdism is a theme in the arts that explores people searching for meaning. "It is a funny play, but it also has philosophical elements about how we deal with tragedy and how we look at life," Dalisposon said. "Do things happen for a reason? Do bad things just happen? Can we take control of our lives in the face of tragedy and uncertainty? There is a lot of that in it." This year is the perfect time for Glencoe High to share "Reckless" to the community, she said. "A lot of my students really struggle with finding meaning in what feels dark. It has been a real hard few years — with politics, we've lost students," Daliposon said. "This play advocates taking control of your life even when it feels hopeless. That felt like a real good message to give at this moment." Glencoe High has been through its own tragedy recently after the death of former student Fermin Alonso-Alonso, who attended a theater tech class with Daliposon, she said. Alonso-Alonso was shot and killed at a party in Rock Creek at the end of September. "What happens here impacts everybody," she said. Daliposon said she wants to keep the shows lighthearted moving forward. 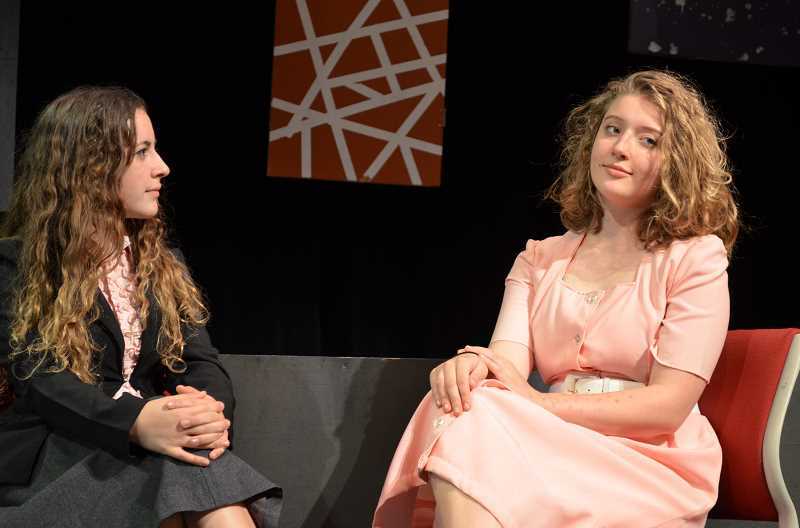 "Reckless" performances run on Oct. 19, Oct. 20, Oct. 25, Oct. 26 and Oct. 27 at 7:30 p.m. in the Glencoe High's auditorium, which seats about 700 people. Tickets can be purchased for $7 in advance or $10 at the door. Proceeds benefit and fund the Glencoe High theater program's upcoming shows, like "Legally Blonde: The Musical," planned for in February 2019.